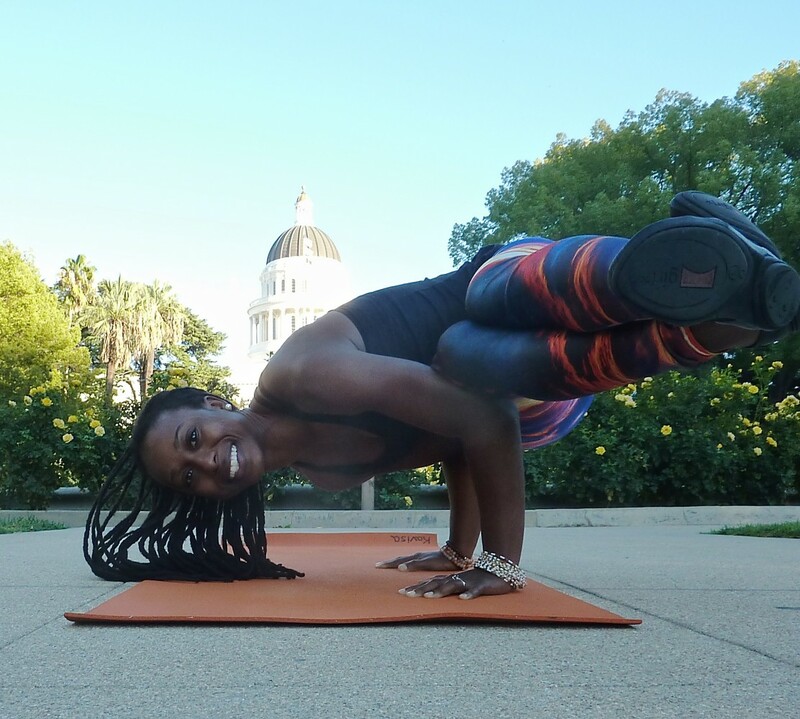 Through my experience teaching Kindergarten – 4th graders yoga and sharing yoga with my two daughters, I feel like I now have a better understanding of how to share yoga with children. Yoga helps kids learn a nourishing and fun way to quiet their minds, exert excessive energy, connect with their bodies and breathe. I’ve found that using animal and shape based naming conventions for the poses plus providing lots of opportunities for the kids to make sounds and giggle makes yoga more kid friendly. Meditation jars, singing bowls and bells are great props as well. 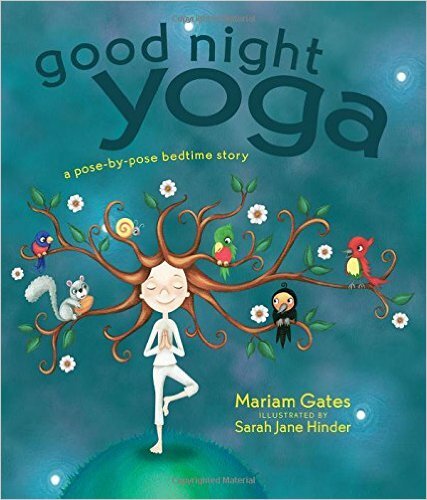 Good Night Yoga: A Pose-by-Pose Bedtime Story by Mariam Gates (Author), Sara Jane Hinder (Illustrator) -> My 3.5 year old daughter loves reading this book. We practice the poses page by page. It’s marketed as a bedtime storybook but we use it anytime. 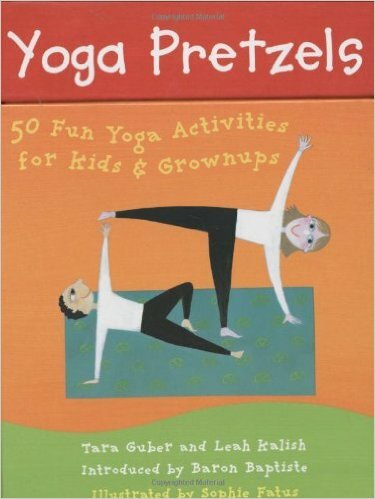 Yoga Pretzels (Yoga Cards) by Tara Guber (Author), Leah Kalish (Author), Sophie Fatus (Illustrator) -> These cards are great when teaching a group of kids, one-on-one or self-led sessions. Plus there are cards dedicated to breathing exercises and games. 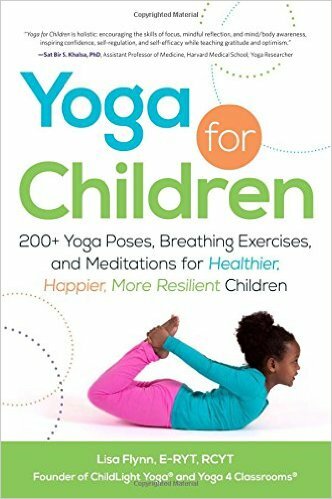 Yoga for Children: 200+ Yoga Poses, Breathing Exercises, and Meditations for Healthier, Happier, More Resilient Children by Lisa Flynn -> A pretty comprehensive kids yoga book (adult audience) including a bit of yoga philosophy and lots of poses, games, breathwork and meditation. Spring – I’ve been listening to more Yo-Yo Ma and cellist Dana Leong lately. I admit as soon as I heard Janelle Monáe had a new song entitled ‘Yoga’ I knew it would make it to my playlist. 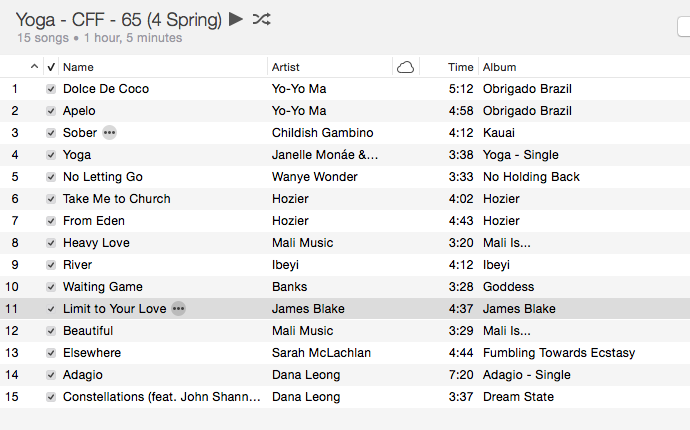 Plus I’m loving everything Hozier and James Blake. Pop mix – Some teachers think it’s a sign of distraction when students start singing along to song lyrics during a class. However, I love it. I have very fond memories of times when one of my favorite songs came on at a yoga studio and the emotional connection my body and mind made. I try to balance out the “well known” songs with lots of instrumental or world music so students have a chance to let go too. After almost every class where I play Lokua Kanza someone asks who the artist was. His voice is so moving. 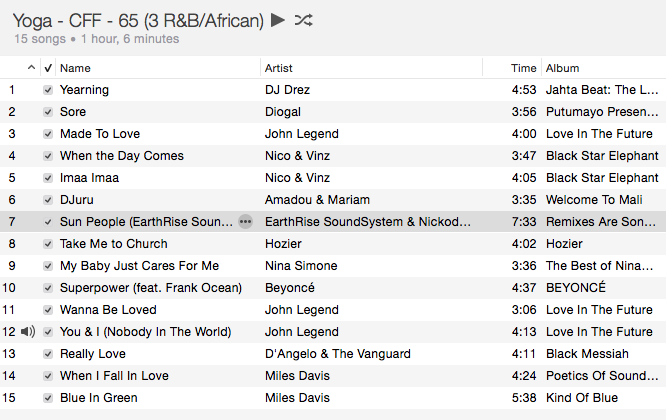 R&B/African mix – R&B is actually one of my favorite genres of music for my personal yoga practice. Plus I went through a huge Nico & Vinz phase last year. The last two Miles Davis songs and ‘in a sentimental mood’ always leave me feeling thoughtful yet at peace. Reggae/Pop mix – Staying true to my West Indian roots, I also flow to reggae music. 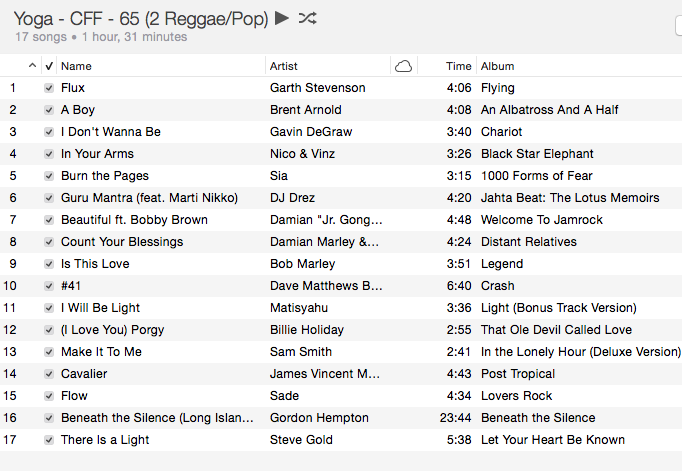 These songs by Damian Marley, Bob Marley, DJ Drez, Matisyahu and Sade go well with my teaching style. 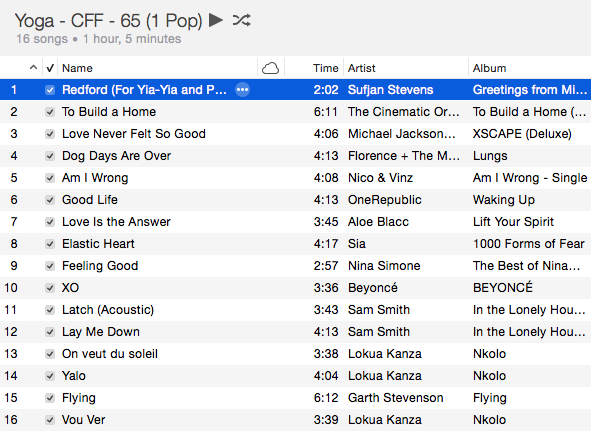 PS the Gordon Hempton track is 24 minutes of nature sounds – I play 5 minutes worth during savasana. Comment below to share your favorite songs for yoga flow.